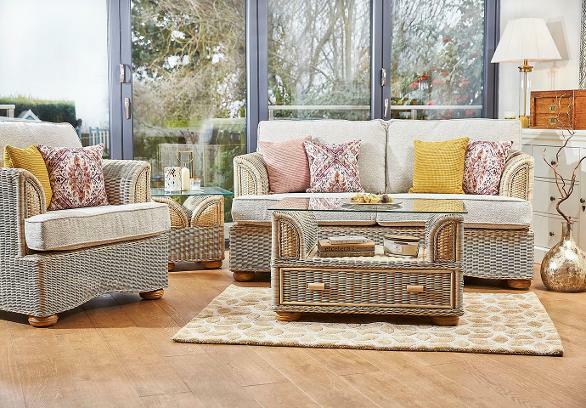 Beautiful and individual, the delicate shaping and intricate patterned weaves makes the Toronto an outstanding design. The sofas and chair are enhanced with tailored cushions that highlight the elegant curves. With a varying selection of accessories and two sizes of sofa to choose from, the desired room look is easily obtainable. The complimenting accessories which include side table, coffee table, ottoman, entertainment unit and sideboard enhance the functionality of this range. There is also a matching dining set and modular options to complete the story for the larger room environment.